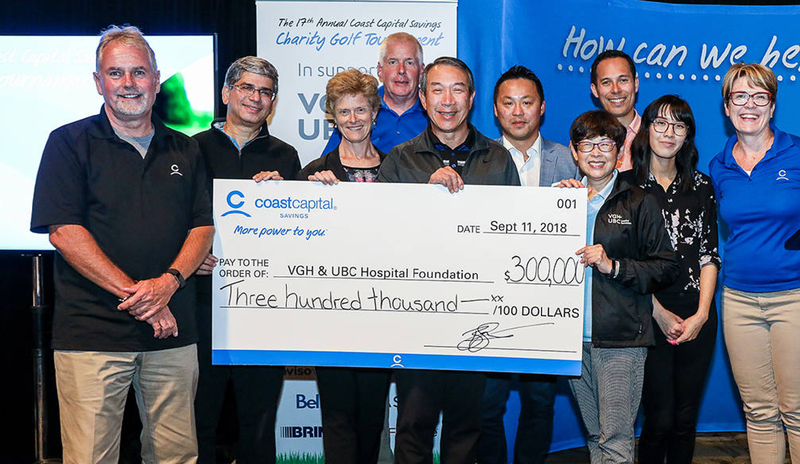 Now in it’s 17th year, the Coast Capital Savings Charity Golf Tournament raised a record-breaking $300,000, bringing the total raised by this annual event to over $2.8 million. The sold-out tournament brought together more than 200 participants to raise funds for VGH & UBC Hospital Foundation. Coast Capital Savings has been a long-time supporter of youth mental health, and the funds raised will support mental health research tailored to youth that is happening right here in British Columbia. Donor support has helped researchers make transformative strides in mental health intervention and care. This includes everything from advancing diagnosis, to developing new approaches in therapies.